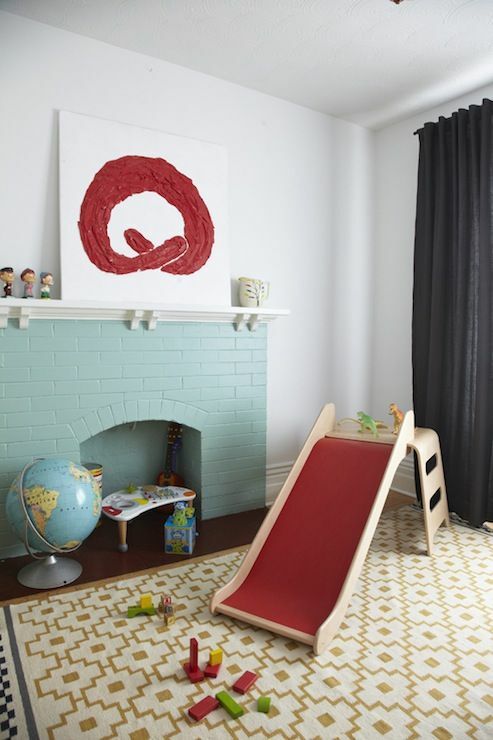 Dress up your hearth with a playful splash of paint. 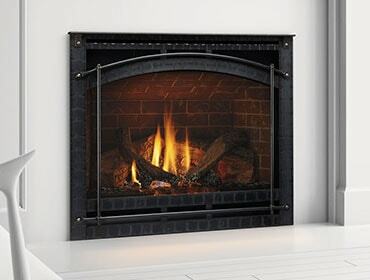 As the first mild notes of spring give way to summer, winter feels like a distant dream—except to your fireplace! But these cold weather hallmarks don’t have to sit idle all summer long. 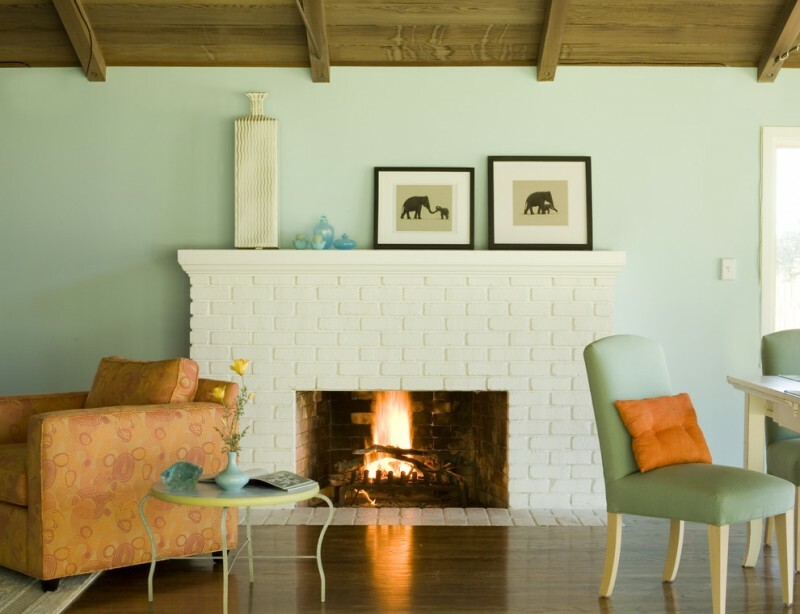 Dress them up with a playful splash of paint and they can be a summertime standout, the perfect place to add some bright yellows, oranges, or blues to your living room color scheme. Here are some of our favorite hues that will get you an instant hit of summertime pleasure. Bright, sunny yellows are practically the team colors of summer, easily calling to mind mild mornings spent with the sun streaming through the open windows. 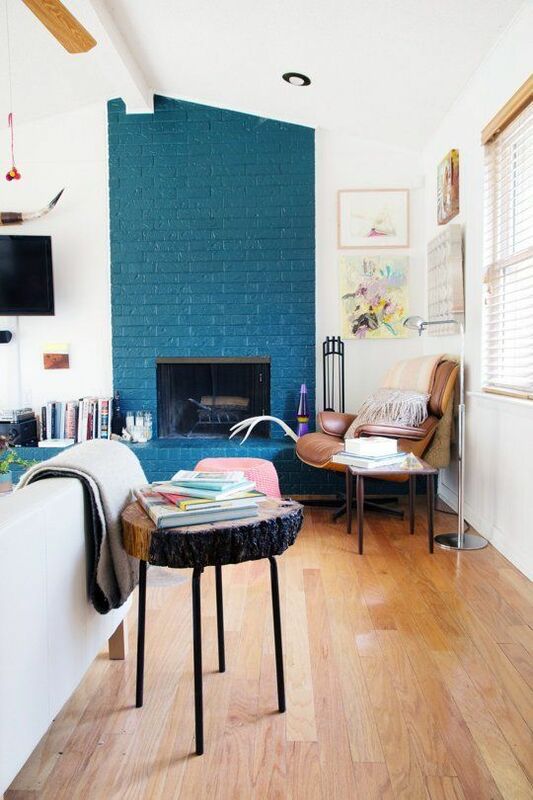 But this high-impact hue has a particularly bold effect in interior rooms, where it transforms tired brick and brass fireplaces into standout showstoppers. This handsome hearth is sweeter than a lemon drop, and it comes with a zesty pop of color that will definitely perk you up from your winter hibernation. Who says summer color has to be all about pastels? Deep, luxurious hues like cerulean mix well with contemporary designs and make the perfect pairing for white walls and black accents. Make sure to apply a stain-blocking, oil-based primer before painting—they’re designed to help prevent fire damage and soot buildup in the future. Sometimes the simplest choice is the right choice. If you’re feeling color-shy, a bright, clean white also can also have a powerful impact on your living room decor. This room kicks it up a notch with a surprising pairing of mint green and peach accents, making it the perfect place for a midsummer’s dream. 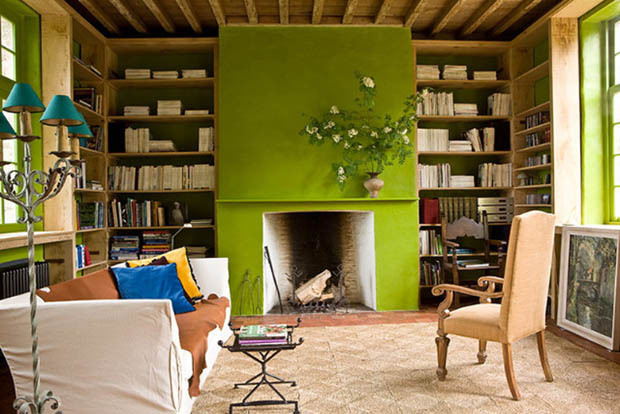 Not for the faint of heart, chartreuse adds a brisk shock of color to liven up stuffy interiors, giving this Edwardian reading room a brand new take on parlor decor. Reminiscent of a lime green popsicle, this perky color is actually heavily on trend right now—Pantone named a similar hue for its 2017 color of the year. Looking to double the impact? Try repainting your window frames in a similar hue for a powerful color concoction. Nothing says summer like a little Mexican flair. To incorporate an ode to all things Mexicali in the living room, consider choosing a burnt orange that recalls the clay walls of the chiminea. Add some red, yellow and turquoise accents, and you home will have all the grandeur of the finest hacienda! Delicate as a robin’s egg, powder blue adds a playful ambiance to freshly renovated interiors. Be sure to clean brick surfaces thoroughly with a wire scrub brush and non-sudsy trisodium phosphate before you paint so that dirt, soot and other blemishes don’t show through the paint. Do that and you’ll be ready to take on your brightest summer yet. Bring on the sunshine! Erin Vaughan is a blogger, gardener and aspiring homeowner. She currently resides in Austin, Texas where she writes full-time for Modernize, with the goal of empowering homeowners with the expert guidance and educational tools they need to take on big home projects with confidence.